As most of you know I sit on the board of trustees the Cheetah Conservation Fund. 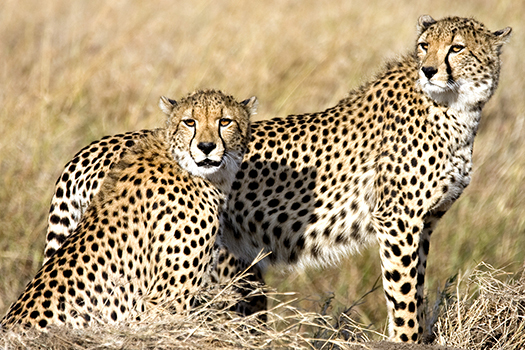 The primary goal of CCF is to make sure that cheetahs survive the threat of extinction. 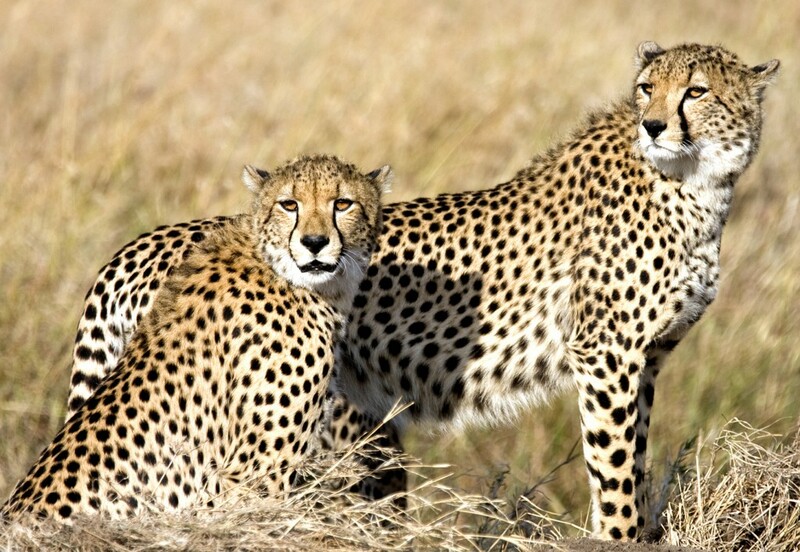 Right now there are only about 10-12,000 cheetahs left in the wild. 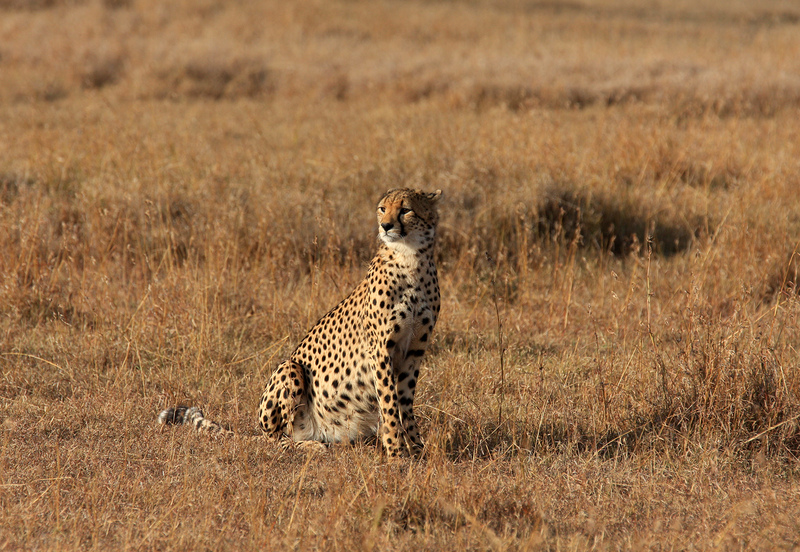 While some of my clients have had great sightings, I have not had the best of luck seeing cheetahs in the wild. It worried me because I felt that one of the reasons was that there just weren’t that many in the wild. Prior to this last trip to Africa I had only seen them in the wild from afar. However this time was wonderfully different. I was fortunate enough to hop on a safari with Nate and Jill – two wonderful teachers from Canada — and Kristy, a lawyer who has decided to go back to school and follow her passion to become a doctor. 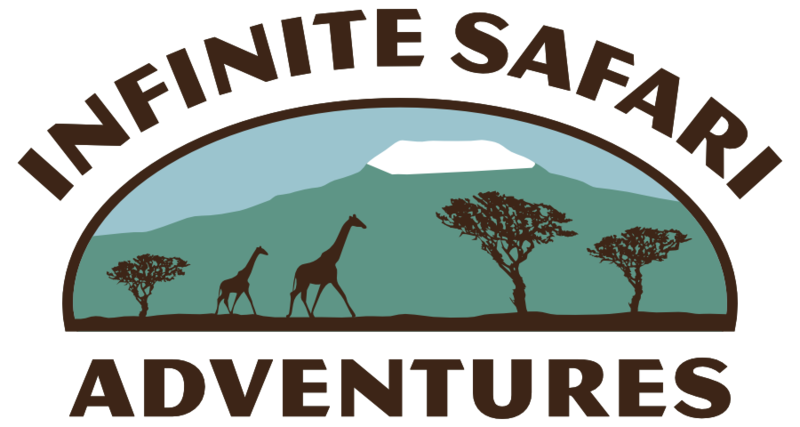 We had a good couple of days on safari (it should have been more days for me but it took me a while to get there due to the Nairobi airport fire – see here). They were great to travel with and I enjoyed watching their awe and wonder as we saw some amazing wildlife, as this was their first safari. I love when people discover Africa for the first time. On our last day together we were driving when we spotted 3 male cheetahs in the Ol Pejeta Conservancy. These boys were beautiful, majestic and best of all to me looked really healthy, which I was glad to see. What I did not expect is how close they would come to us and how thanks to our terrific guide we were perfectly positioned to see them. Seeing these majestic creatures in the wild filled me with such joy and while the challenges are many they gave me hope that there will be cheetahs in the wild in the future. However, I would be remiss if I did not fulfill my obligation as a trustee of CCF to tell you that a lot more must be done. Please go to go to www.cheetah.org, contribute and get involved so that when you go to Africa you will have a good chance to see the same amazing sight as I did.